The Idea: To create a mini split version of the traditional air conditioning unit, with maximum energy efficiency. In short, looks and technology packed into a small package! The ductless air conditioning in Toronto is a mechanism fitted in a unit that extends its cooling features to various zones at the same time. It is a small compact unit with a split construction wherein the refrigeration or condensation unit lies outside and the actual cooling system is indoors. Without the duct, it is actually maintenance free and does not attract carbon and dust like most other air conditioning units. These units are also a lot easier when it comes to handling and installation. With ductless air conditioning in Toronto, Home Star is all set to usher in a revolution of sorts in air conditioning. The compactness and its multi utility cooling and zoning functions make it a treat indeed! 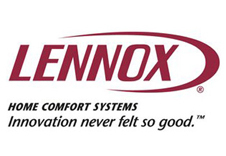 The Lennox ductless air conditioning systems cool different zones evenly and can even cool multiple rooms at the same time. Easy to maintain, and energy efficient, these air conditioners have revolutionized the way you relax at home.